You're the only one for me so you will always get the Best of My Love. This arrangement blends Roses, Mini Hydrangea, Green Trick Dianthus and Hypericum Berries to set a stage for the symbol of love. Loops of lily grass create a heart to show your true sentiments. 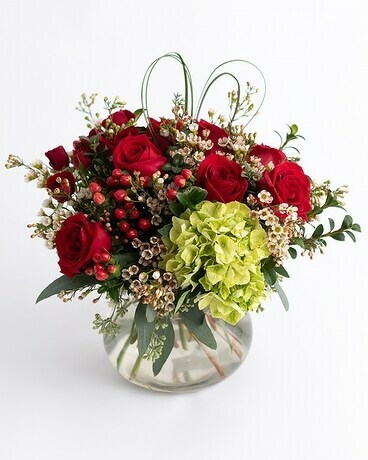 Send the Best of My Love arrangement to remind that special someone just how much they mean.